This pet vehicle safety restraint is designed to protect pets, people and property in a moving vehicle while saving valuable time in the event of an emergency by controlling confused pets. This device consists of a one piece easy to install plastic base frame which protects the vehicle seat and an easy to fasten harnessing system to restrain the pet. This patent conforms to pending state legislation. 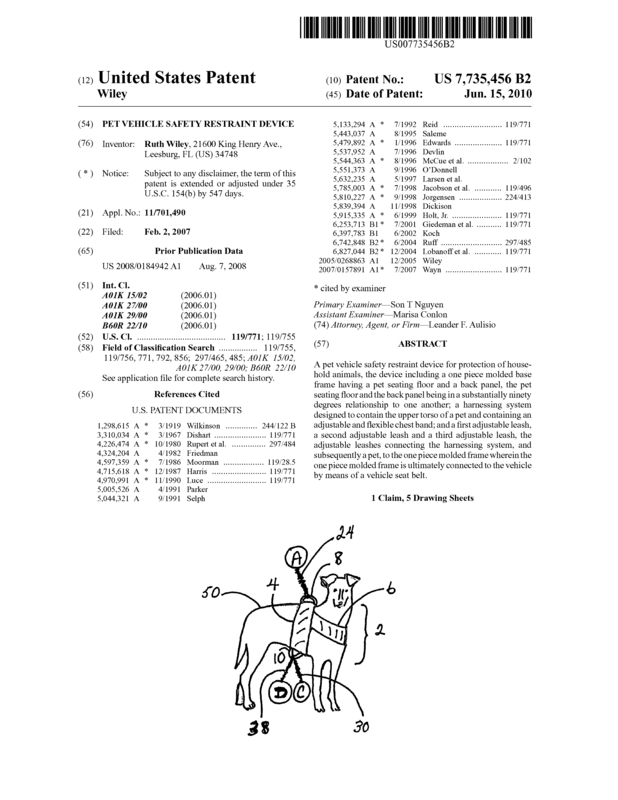 Page created at 2019-04-25 18:44:58, Patent Auction Time.